The last decade has seen a sharp rise in the pressures placed on general practice. This includes an increased volume of work, as well as a broadening range and complexity of conditions and patients. This makes it more important than ever to come together to show appreciation for, and solidarity with, those performing well under difficult conditions. How fitting that it should also be the tenth anniversary of the General Practice Awards. It is no secret that individuals working in healthcare are heavily motivated by the wellbeing of their patients, and the reduction of suffering. However, external and structural problems can readily deflate and undermine that motivation. Too many obstacles make the task seem impossible, and staff can feel alienated from their purpose, which is to offer effective care for patients and the public. The General Practice Awards is one solution to the problem. Hard work is recognised and praised, whilst the best technologies and ways of working are brought to light for everyone to see. It is humanising for professionals to hear similar stories from peers, and inspiring to see what success is possible through improved methods and new connections. The number of full-time GPs fell by 1,300 between September 2015 and September 2017. The number of GP partners fell from around 2,000 in the same time. This poses an additional problem because full-time GP partners tend to see a higher volume of patients and work longer hours. 4 million extra patients registered with a GP in England between October 2015 and October 2017. The number of patients aged over 65 rose by 318,819 over the same period. Those aged 85-89, who tend to visit GPs most, rose in number by 4.1%. Faced with these types of challenges, it is no wonder we are finding a renewed drive to celebrate individual and collective efforts within the industry. We can learn from one another, and reduce the burden through collaboration and gratitude. By no means is this meant to be a trite solution to a complex problem. However, it is an important part of the process. It is evident that our ability to persevere and enjoy work is deeply influenced by our level of purpose and appreciation. It has also been put forward that our ability to see the ‘bigger picture’, and to emphasise our interconnectedness through teamwork helps us to feel less isolated and overwhelmed in the moment. 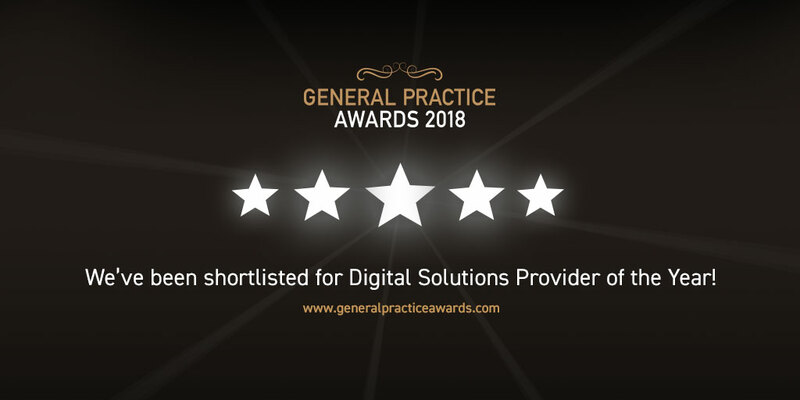 It is also heartening to see a broad range of award categories, which cover important areas of primary care, ranging through the personal and experiential, to technological and organisational. Award categories include a breadth of individual professions, types of care and providers, including ‘Community Nurse of the Year’, ‘Diabetes Care Award’, ‘GP Trainee of the Year’, and ‘Technology Provider of the Year’. This is only a very small sample, but if you would like to check the list of categories you can do so by clicking here. You will see it is constructed with a strong appreciation of primary care, highlighting personnel, as well as management and training outcomes, across the board. It provides useful information for practice managers and staff too, including who the best legal, technological, and training partners are currently, and more. The connection between modern innovation and shared, foundational experience is emphasised both by the GP Awards and The King’s Fund, which published a study on the topic in June this year. The study, titled ‘Innovative Models of General Practice’ sets out five attributes that underpin general practice, which are: person-centred, holistic care; access; co-ordination; continuity and community focus. From these core ideas, it explains that, ‘delivering, patient-centred, holistic care requires general practice to be at the heart of the development of new models of care’, and that any wider developments would do well to follow from this basis. Whilst it may be essential to develop out systemic changes to handle the challenges ahead, these should come from a position rooted in experience of communities, and first-hand holistic care of patients. Innovation of existing models will be paramount, but rooted within general practice, rolled out with management support, and facilitated by improvements in communications and technology. We can see how this clearly aligns with the fundamental aims, and the types of categories emphasised by the General Practice Awards. This also highlights the cornerstone importance of primary care, and how it is a strong fundamental basis for creating the best possible wider health service. This resonates very clearly with the concerns we faced at the beginning of this article. When looking back through some of The King’s Funds previous work on the issue, it also becomes clear that the ‘invisibility’ of the increasingly difficult work done in primary care is a cause for concern. For a number of reasons, the increase in workload and difficulty are missed in the types of recorded data. This has a ripple effect on the decisions of commissioners and policy makers. However, events such as the General Practice Awards are an opportunity to come together, and counteract invisibility, and it’s consequences. The General Practice Awards is an important opportunity to celebrate individuals, ideas and teams that are at the forefront of primary care. This is particularly significant at a time when the pressure and complexity of the workload placed on general practice are exceptionally high, and can go under the radar. The event is celebrating its tenth anniversary, and we would like acknowledge its importance in the current context. Recognition and gratitude are important motivators for anyone, and especially those working under tighter demands and a rapidly changing technological, and medical, landscape. This is something we at Vision are well aware of. We aim to provide the best, fully integrated information sharing systems, which can reduce pressure on GP practices, and be used on-the-go, and out-of-hours. Read our blog to find out how GP practices across the UK are providing patients with access to other specialist health services, and letting clinical teams collaborate.